£100 Amazon Gift Cards to my Blog Readers! As we’re approaching the end of 2014, I want to ask you – my blog readers – what topics you want me to cover on this blog in 2015. 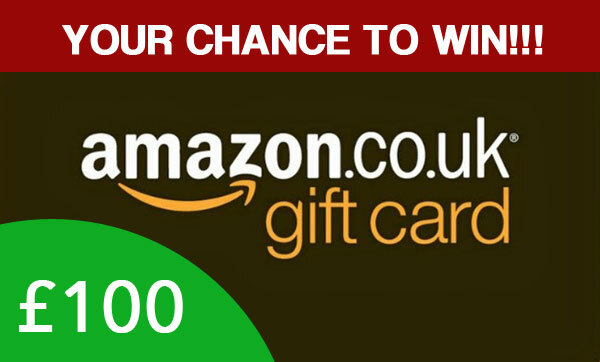 This will be a fun & simple contest where 5 people will win a £20 Amazon gift card, delivered to your email right in time for Christmas. What do you have to do to enter this contest? Simply suggest a question/topic that you want me to cover on my blog next year. As easy as that! Just leave your suggestion as a comment below this post and you’ll be automatically entered in the draw to win a gift card from Amazon. How to properly format eBay gallery images? What’s the difference between sea freight and air freight? Do I have to register for VAT when selling digital products? How to set-up a custom email address? How much to charge for gift wrapping? How to make my eCommerce shop SEO friendly? So what I’m after here is a list of questions you would like me to cover in detailed blog posts, how-to guides and videos. The more detailed your suggestions/questions are, the better, as I will make sure to cover them extensively in future blog posts. If you have more than one suggestion, even better! I’ll collect all of them, and trust me when I say this – I will do my absolute best to cover as many of these topics as possible in 2015! IMPORTANT!!! When leaving your comment, make sure you enter your correct email address & name so I can contact the winners. The deadline for entry is Sunday 21st December and the lucky winners will be announced on Monday 22nd December. How will I pick the winners? I’ll use a random number generator, so it’s a simple draw. No matter how good or bad your suggestions are, as long as you follow the rules and leave a comment, you have a chance to win one of those five £20 Amazon Gift Cards! We all know how business is stressful and hard. Also requires a lot of hard and long hours of work which affects our health. It would be great to hear some tips from you how you are dealing with stress and keep you motivated. I hope you do not have lots of such a stressful days but for newcomers to business it can be really hard to overcome those things and it would be really great to hear your suggestions as from successful entrepreneur who knows how to manage it. Readers’ Contest Winners & a Round-Up of 2014! By the way, it’s still Sunday the 21st here in the U.S. When I posted my topic. I hope mine still counts for the contest. :). Thanks! How to deal with difficult buyers? It would be helpful if you could do a topic on opencart and the best / most needed addons for SEO and ranking well in Google. 1. Regarding eBay sales (if I only use Paypal for taking payments), what documentation needs to be printed out to satisfy HMRC (and accountants) for yearly accounts – in terms of keeping things simple with the minimum of work/paperwork i.e. ebay invoices, Paypal transaction sheets, Paypal monthly summaries, CSV files from Paypal history etc etc? Thanks Adrian for your topic suggestions. Wow! I just wanted to say what great posts from everyone, I have really enjoyed reading all the suggestions and look forward to you covering them all next year Andrew. I would like to find out more information on the charges for importing using sea freight. For example what percentage approximately should I expect to deduct off the total amount to cover the charges below? I would rather use air delivery as it looks a lot simpler, I am not sure if the items I am thinking of will be too big for air delivery. What is the maximum size do you think is realistic to use air delivery? Thanks Lee, excellent post idea! I used to believe that these are the websites where I can find all the legit sources but, I am now concerned as they had earlier listed Damar Trade (b2bwatches.co.uk) and Electronika Ltd (onlynew-wholesale.co.uk) that have proved to be scam. How can I be sure of sources in such directories? Is there a way to identify wholesalers’ authenticity if they are found on such directories and not on Alibaba website? Thanks Adrian, will cover supplier verification process in a post next year! Thank you for the opportunity to suggest. I had once asked you about sourcing branded watches such as Rolex, BVLGARI, RADO, etc. but you said you have not worked on this segment and I was left unanswered. Also I have recently found out that top luxury brands such as Michael Kors are also not easy to deal with. Michael Kors wholesales its own designer products. I will have to contact their headquarters and speak to their International Sales department in order to become a retailer of the brand: http://www.hoovers.com/company-information/cs/company-profile.Michael_Kors_%28USA%29_Inc.1afbd377ebfd1932.html. Andrew, I think you need to research on most of the popular luxury watches brands for us to be able to understand what is best. I could find out much of the information on myself but reading the information on your website gives me a peace of mind and will also help thousands of your readers to start working on a new segment. PS: This may not be a profitable product segment but let us at least be aware of these facts. For well established businesses, this can be a good segment to attract buyers. I see many sellers are selling counterfeits online and hence this is very important for me to source the genuine products from these brands. Many Thanks and Wishing you Merry Christmas and a Happy Winter with your family. Many Thanks for your suggestion on this topic, I will def. look into in new year! Pro’s and cons of all the top selling sites (Ebay , amazon etc, with deductions. very good topic Sammy, Thanks! How do you promote internet marketers to sell your products as affiliates. I’d love to see more help for those of us in the U.S. I think we might face some different problems here such as a more saturated market making it more difficult to find niches that aren’t over worked. I’ve tried dropshipping with limited success because it’s so hard to find products with decent margins. More help on sourcing would be appreciated. Many Thanks Ted, will put this on the list too. Hi Andrew! Thanks to you I’m now running a successful eBay shop…with beautiful templates! Anyway, I would like to see an Idiot’s Guide to using AWeber.com to set up email lists and especially to produce regular newsletters. It seems you need to use WordPress and the process seems more complicated than it probably should be. This would be a REALLY useful subject! How to link eBay shops with Facebook. When is the right time to create your own online shop as an addition to an eBay shop? And Thanks for your contest entry. What is the best stock control software to sync your inventory across ebay and amazon? A few suggestions, and one for you to look into a bit further as you’ve mentioned it in your pre-amble. 1. How to find and use a fulfilment house that isn’t Amazon. 2. Are Facebook and twitter irrelevant for Ebay / Amazon sellers or can they help increase sales? 3. Can you cross promote your own ecommerce site using Ebay / Amazon or is it frowned upon? Is there any way around this, does the old ‘classified ad’ technique still work? Your thoughts will of course be interesting to hear. Thanks very much for your suggestions Steve! Hi Andrew, love your blogs and a massive follower of them. I would like to know a few more details on the below. Business Rates for small business’s. The government scheme to help out with business rates for trading in your first year? Do you pay business rates if you set up an office/warehouse in your garden? Please can you give some insight in to the Fulfilled by Amazon service. Is it good? At what stage of business will I need to consider this type of service? Ah Angelo beat me to the punch. How about a primer on “Starting eCommerce after Christmas”. I’ve only just started making arrangements with Chinese manufacturers, so I’ve missed the Christmas hype and have to kick things off when pretty much all consumer markets have a dip. If you have any experience on how to make the most of these down swings it would be most helpful. why can i trust that the fulfilment company will make less mistakes than a dropshipping company? Excellent topic idea Joe, Thanks! I would like to see you write about how you go about step-by-step sourcing for products cheap locally to sell on ebay for higher price tags. Wish you a Merry Christmas & a Happy New Year. I would like to see an article on “Nuances of selling in Australia and to other international buyers.” – Andrew, as you know, I live in Australia (Melbourne) and it would be useful to understand any differences to selling in UK. Have a Fantastic Christmas and New Year! Many Thanks Kav, great idea! 1) How to Maximize sells by bundling various products(Same category or different category) ? 2) How to develop proper mentality and attitude to be a successful seller ? 3) How to compete with Chinese ebay sellers who sell on ebay with much cheaper price ? 4) How to maximize sells using different online platforms? Many Thanks for your your suggestions Shailesh! I would like to know more about Amazon FBA in the UK and if it can be used for the Ebay as well. Also, a little more on terapeak. Is it a magic pill as it looks like or need further manual research of some kind from our side? I have just started using it. Lastly, a little more discussion on product sourcing. If we can’t find them on the basic sites such as alibaba etc how easy it is from individual suppliers? You won’t have to wait long as I have lined up some very good stuff covering Terapeak’s secret features starting from January. I would like to know how to use Amazon as a dropshipper for selling in ebay . •	Product guarantees – Give a 12 month guarantee?, Advise buyer to use manufacturers guarantee? What about goods from China? •	European trade shows for original products worth a visit? •	Open source ecommerce software like Prestashop, Magneto or paid for like Cubecart etc. Thanks Alan, some very good topics you have there! Have a good Christmas you too. I will try to buy gadgets from Chinavasion is it trusted? Thanks. Will cover Chinavasion in a separate post, Thanks! I would like to see more articles/courses/coaching on selling Amazon after you have mastered ebay! I am missing this topic in your blogs, courses…etc. 6) Selling private label products on Amazon…etc. Wish you a Merry Christmas & Happy New Year! Thanks very much for these ideas Nazar! The best way to scale up your eBay/Amazon business when you only have a small amount of cash and storage space! Also, buying posting online, what is the best way to do this without having to still queue at the post office every day! Thanks very much for these ideas Julie! In 2015 I’d like to see some specific marketing advice for different social media platforms, especially Instagram and Pinterest. Building brand , trust and driving traffic. Think these 3 are key focus for me when i kick off my online business officially in 2015 and i yet to buy the ecommerce magnates which i will do soon. I will def. talk more about traffic generation to eCommerce Shops next year. I’d like you to do an article about the differences between selling on Amazon as opposed to Ebay. Maybe even a full Amazon course? Thanks Mark, def. on the list! I’d like to see a guide on the pros and cons of Amazon FBA retail arbitrage, why it works in the USA and why it may or may not work in the UK. It would be similar to your drop shipping guide, where you show us the good, the bad, and the ugly as hell. Thanks Shuvo for your input! How to deliver excellent customer service and handling eBay disputes. Thanks for your topic suggestion Jaryd! I’d like to see something about making the fulfilment side of things as slick as possible. For example, what is the best way to do packing slips and postage labels? Any particular systems stand out from the rest, etc. How to sell on eBay to get enough profit to start importing from China / more tips for people with low buying power. Merry Christmas! Have a gooden! Many Thanks Ryan, will do! One thing i’d love help on is eBay and Ecommerce auto emails that are sent and some templates for ideas as i have loads of ideas on what to put in them but actually getting the info in without bombarding the customer is not my strong point! 1) How to size your ebay pictures so that they are the correct size and fill the square on the gallery. 2) How to deal with high volume of orders on ebay. i.e. how to export your orders say to a spreadsheet and print them all off with matching addresses so you don’t have to go in to each individual one and look at the ‘Order Details’. I would like to see a topic covering postage and packaging. Who to use for posting? Is it worth having a royal mail business account? How does it work? Features and benefits? What type of packaging to use? Who to use for all your packaging needs? What can and can’t you send UK and international. I’d love to see information on how best to deal with ebay buyers who fraudulently claim against you (i.e broken item on arrival when it isn’t etc) and subsequently how to handle ebay most often siding with the buyer. Do we just have to swallow it every time and factor that into the costs of selling? Thanks Gareth, that’s an excellent topic I will definitely cover in next year! Thanks Ian, another great idea! I would like to understand how eBay optimise listings and why you can have a listing that is selling several items per day with a building momentum and then all of a sudden it can slow right down again only to take off several weeks or months later. Naturally the second half of this topic is how would one protect against this happening. Have a Great Christmas and thank you for this. Thanks for your suggestions Nici! How reliable is the data that goes into Terapeak and is that the only tool we should be using? Firstly, thanks for the wonderful blog posts. Have read a couple and should be back for more. Would love to have more information on the cost of duty/import tax, for all items, as I’m now looking abroad to buy things we use anyway, but find it hard to calculate if it’s actually worth it at times, due to the extra VAT to be added on top, as well as duty which is different for various items I understand. At times it’s not worth it at all. Will definitely put your questions on the future blog post list. Which are better: auction listings or fixed price listings, when to use best offer option and when to leave it out? Thanks for your suggestion Agnieszka! How do you deliver items such as tyres that may be considered as dangerous or too bulky? Many Thanks for your topic suggestions, all noted. I’d love to hear about Alibaba scams, and also about other wholesale websites to use, if there are other trustworthy ones! A guide on typical Alibaba scams, on the list. Topic for next year ………………. Posting items that contain batteries. 3) How to market your skills as an e-commerce optimization specialist. 4) What FOB is, What EXW is, and how to get a supplier to quote the total price from factory to fulfilment centre by air and sea. I mean, is it FOB + some kind of shipping cost? Is FOB all the way to a fulfilment centre in another country (ie china to USA)? Is EXW normally used for shipping by air? Do you need EXW + shipping to airport in china (for example) + shipping by air? What is the difference between selling manager pro and an ebay shop? Do I need both? Or just ebay shop will do, I mean are the features of selling manager pro included in an ebay shop? Thanks for your suggestions Daniela! How to find a niche product to sell. But will of course continue writing about various aspects of this topic in 2015!